In my mailbox on August 18th, 2012. Mooney is a region of the City of Visalia, California. The Mooney area is north of Tulare, east of County Center Drive, west of Giddings Street and south of Green Acres. It refers to those areas that are centered around Mooney Boulevard roughly between Main St. and Visalia Parkway. It is a mix of local and corporate businesses that cluster around Mooney Boulevard. 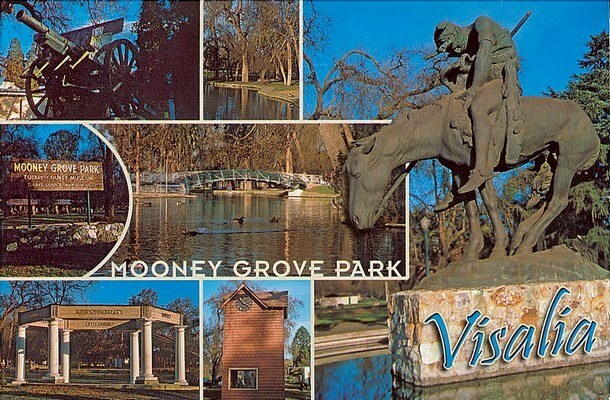 Like the other parts of Visalia, the wealthier neighborhoods of Mooney, such as Beverly Glen, are set within mini Oak Woodlands. On the lower end, around Mooney Grove Park, the area is mostly agriculture.